After her mother is shot at a checkpoint, fifteen-year-old Sarah--blonde, blue-eyed, and Jewish--finds herself on the run from a government that wants to see every person like her dead. Then Sarah meets a mysterious man with an ambiguous accent, a suspiciously bare apartment, and a lockbox full of weapons. He's a spy, and he needs Sarah to become one, too, to pull off a mission he can't attempt on his own: infiltrate a boarding school attended by the daughters of top Nazi brass, befriend the daughter of a key scientist, and steal the blueprints to a bomb that could destroy the cities of Western Europe. With years of training from her actress mother in the art of impersonation, Sarah thinks she's ready. But nothing prepares her for her cutthroat schoolmates, and soon she finds herself in a battle for survival unlike any she'd ever imagined. Received in exchange for an honest review from Usborne Publishing UK. Set during the outbreak of the World War Two, Orphan Monster Spy follows the story of Sarah, a German Jewish orphan who loses everything one fateful night and then falls into the company of a British agent. Said agent picks up on Sarah's skills (her Aryan appearance helps) and decides to send her to an exclusive girl's boarding school in 1939 Nazi Germany in order to befriend a certain girl- Elsa. What follows is a gripping story of suspense and survival among monsters. Humans. Spies. Monsters. First off, I'd say I love the setting. I don't read historical fiction often and I haven't read many stories set during this period, but I loved how it was applied here. The Holocaust, the Third Reich, living during those dark times. It would be foolish to say that it's all behind us given the sad state of the world today and exploring what happened back then is crucial in order to enlighten ourselves enough to identify similar incidents happening this very day. I loved how the author incorporated bits of history seamlessly into the story, and the world-building was impeccably done; it is evident that a lot of research has gone into all this. My next favorite aspect of the book is the characters. Sarah was well-rounded and well-writen and I found her incredibly fascinating. The way she drew from her haunting memories and nightmares to keep herself going, the way she stood up for people and had a conscience till the very end, despite being thrown into a pit of little monsters. All this and the fact that she was smart, cunning, and a brilliant actress made her one intriguing character indeed. Apart from Sarah, I liked the timid Mauser, aka the Mouse, Elsa, and of course, the Captain. I'd love to see another story with these characters- I feel there's so much more that could be explored. "She had trouble remembering a time when she had been cause of brightness in another human being. The relationships were done really well too. I loved seeing how Sarah and the Captain grew closer, and seeing her find a parent of sorts in him was heart-warming. But that leads to the question- would the Captain have sent her to the boarding school if he had known what horrors she'd ultimately go through? The boarding school was horrifying, to say the least, and the task the Captain set upon her was even worse. How exactly did he find fit to send her on this mission? I also loved what we saw of Sarah's relationships with her mother and the Mouse, and I found myself wanting more of it all. Like I said, lots to explore in a potential sequel! The plot itself was extremely gripping and thrilling, and I found myself hooked right from page one. 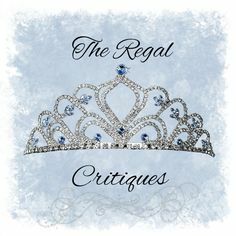 The second half of the book was exceptionally well-done and I found myself rooting for Sarah through and through. There were some truly interesting parts, especially the happenings at the boarding school, and some very unexpected twists and turns. My only complaint would be that things were sometimes a tad too convenient, and the splattering of German words and phrases occasionally disturbed the flow of the story, at least for me. I also would have liked it if there had been more action, but I'm still happy with what I got here. 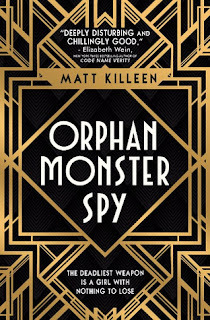 All in all, Orphan Monster Spy is a book you should pick up if you're a fan of YA thriller. It doesn't matter if you're not generally a historical fiction reader- I'm not, and this book worked marvelously for me anyway, so I daresay you'd love it too! The book felt like it was laying the foundation for something larger, so I do hope a sequel is in the works. I, for one, would pick it up in a heartbeat! I am glad to hear you liked this one. It was on my radar, because boarding school and spies, but I saw some negative reviews. You make me think it may be worth picking up, and I would be ok with the German because I went to German school when I was younger. Great review! There isn't much to be figured out per se here, but it's still very thrilling and I think even you'd enjoy it, Noe! My Life in Books Tag! !